Money Nest does not provide financial advice in any form. Contact a licensed professional before making any decision. Investments can go down in value as well as up. Post may contain affiliate links. This is part #2 of a budgeting series, for part #1 please read – how to budget. Learning how to budget is a bit like going on a diet: deciding to begin is the easy bit. The hard bit is sticking to it. Many of the methods I use to keep to my budget are a little unconventional, stemming from environmental design and habit creation. Environmental design is based on the idea that by changing your surroundings you achieve your goals easier. Habit creation means crafting daily habits to hit your goals. This may sound a bit ‘out there’ but it’s extremely practical. For example, if you want to lose weight, surround yourself with healthy, low-calorie snacks and friends who live to exercise and you’ll find it significantly easier than being around chocolate, crisps and people who never exercise. By designing your environment you can make good choices much easier. Once you’ve set a goal and changed your environment the only thing stopping you is your daily habits – Michael Phelps for instance, is well known to have gone swimming every day and on race day to have the exact same warm-up routine down to the stretches, warm up lap strokes and even the music he listens to. For more information on habit creation, I recommend Charles Duhigg’s excellent book, The Power of Habit. ALERT! Download this entire guide as a quick .pdf checklist. Progressive property is one of the biggest property training companies in the country and one of their key teaching points is that unless you have a strong enough reason to invest in property you’re going to fall at the first hurdle this is because without a reason for your hardwork it’s going to be tough to find motivation to push through the hard times. So the first step is to have a strong reason to save, so what is yours? Early retirement? Buying a home? Going travelling? You’re going to have to keep this close to you so when it’s tempting to spend more and save less you can remind yourself of your reason to be cutting back. Most of what’s listed on your budget is likely a fixed cost (to borrow from accounting terms!) this means it doesn’t change month to month – such as rent, car insurance, council tax, internet bills, etc. Once you’ve optimised these you’re left with your variable costs, these are the ones you have real control over such as groceries, clothes, socialising, etc. When it comes to budgeting, since you’re fixed costs will remain the same each month (rent, council tax, phone bill ect) once you’ve optimised them you can pretty much forget about them and focus on variable costs. I’ve personally saved them in a note on my phone and written them down on my whiteboard so I always have a reminder of them close to hand. Having a budget and knowing your variable numbers puts you a lot further ahead of someone with a more detailed budget using all the latest software, but who can’t remember how much they put aside to spend on socialising each week. Ever found yourself with nothing left in your bank account, completely unaware of where it all went? This is why we recommend frequently checking your bank accounts. Similar to the principle of ‘knowing your numbers’ you must track your money flows. If you really struggle to budget, I’d recommend checking all your online bank accounts and credit cards daily and if you’re a bit further along check them weekly. This is so you can check your actual spend against your budget and adjust your spending accordingly. Every Monday at 1 pm I have a recurring calendar item telling me to check my bank accounts, I then simply open each app, pay off any credit card purchases and get a quick overview of where I am for the month. Struggling to keep to your budget when you’re at a certain location (such as the shopping mall, a certain restaurant or bar?). Remind yourself of your budget whenever you’re at that location by setting up a geo-reminder. 4. Click and select the radius – I’ve chosen to a reminder within 100m of The Purple Turtle (if you ever find yourself still partying past 3am in Reading, you’ll likely find yourself here!). 5. Click back on details and hit done, I’ll now be reminded whenever I’m within 100m. Creating healthy habits can literally change your life. One I’ve been doing which has saved me huge amounts of money and time is sitting down every Sunday morning for half hour, deciding what to eat for the coming week then ordering the ingredients to be delivered the following evening. By shopping online I reduce the choices I have to make which in-turn reduces chances I have to overspend. I’ve even gone as far as creating a Google Sheet containing all the meals I can cook alongside a link to the recipe so I don’t even have to spend time considering what to cook. Compare this easy half an hour to the stress of shopping at a big supermarket; I know which one I will always choose. 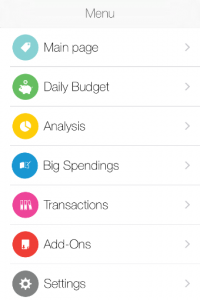 Daily budget is a great app to track your daily finances. Starting university was the first time I was in charge of buying groceries, paying rent and navigating a whole plethora of daily financial decisions. One of the great pieces of advice I was given was to write down everything I spent, so I purchased a cheap notebook and literally wrote every expense to the penny down. This gave me a great picture of my outflows and enabled me to quickly see if I’d make it to the next student loan payment. Without this, I’m sure I would have ended up living off an overdraft, which considering my small graduate income would have financially choked me. Now with smartphones, you no longer even have to squeeze a notepad into your skinny jeans. I recommend Daily Budget as a simple, clutter free app which you can use to get a quick snapshot of your daily surplus/deficit or even map your spending over time to pull out areas which may require ‘optimisation’ (spending less!). By tracking your spending you become more acutely aware of when you’re spending money: for me, this meant I spent a lot less impulsively. 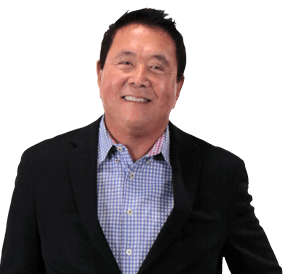 Robert Kiyosaki popularised the idea of paying yourself first in his timeless book – Rich Dad, Poor Dad. Popularised by Robert Kiyosaki in Rich Dad Poor Dad, Paying Yourself is a method where you put money aside for savings before paying bills. When I got my first ‘proper job’ I decided if I had any money left over by the next payday I’d put this away as savings. Of course, each payday came and went without any savings. After I’d created my budget and re-read Rich Dad Poor Dad, I decided to try out paying myself first and set-up an automated bank transfer sending savings from my current account into a separate savings account the day after I got paid. This meant I then had a clear view of what I had left for the rest of the month and could adjust my spending accordingly. Use multiple bank accounts to keep your savings and current account separate. I use two different current accounts as these currently pay better interest than most savings accounts. As more and more services switch to a monthly payment model (council tax, electricity, TV license, car insurance, etc. ), if you have multiple payments going out throughout the month it’s difficult to keep a grasp on your financial health. As my employer pays me on the final work day of the month, I’ve set all my direct debits (including rent) to go out on the first of the month. This again allows me to get a quick grasp of my finances without having to run mathematics each time I check my current account. As mentioned, it can be incredibly frustrating to be the one saving when everyone around you appears to be spending every penny and living the credit lifestyle. Jim Rohn (a farm boy turned successful entrepreneur) said: ‘You’re the average of the five people you spend the most time with’ and I find this true in more ways than one. As difficult as it may sound, if you can look to surround yourself with more financially responsible people you will naturally find it rubs off on you, and you can change your own actions for the better. This is a huge point and helps me massively in multiple areas of my life. Take investing as an example; by attending local investing meetings I surrounded myself with inspirational people who prove to me it’s possible to get where I want to be, what’s more each meeting acts as an accountability partner nudging me along each month to take action. Had I not started attending investor networking meetings I’m sure I’d have given up a long time ago, moved to a forest and become a hermit. Much of my ideas of environmental design and habit creation stem from James Clear’s excellent blog. By reducing your daily decisions you can keep your willpower tank going for longer. In modern psychology, decision fatigue is based on the idea that when you wake up after a restful night’s sleep you have a full tank of willpower, but with every decision you must make your willpower fuel gets used up. So when it hits 9 pm you’re home late from work and have nothing in the fridge, you call into the local corner shop and literally buy everything. Researchers at Columbia University even discovered at the start of the day parole officers were 65% more likely to give a criminal a favourable decision but as the day wore on and more and more decisions had to be made this favourable rate dropped to zero. What’s more researchers at the University of Pennsylvania discovered an enormous amount of supermarket purchases are pure impulse buys (the research ranges from 30% – 70%). Supermarkets, retail clothes shops and shopping centres literally employ psychologists to increase your purchase volume. By avoiding these decisions, you reduce the chances to over purchase. As previously mentioned this allows you to not find yourself in the shop tired with no willpower left at 9 pm. By only using cash you become acutely aware of your spending which can help reduce impulse purchases. Typically clothes retailers, often offer irresistibly tempting offers by email causing you to both consider the shiny object and make another decision. By unsubscribing from these, you’re reducing your chance to over purchase. If you’re coming from this viewpoint, you’re going to find it difficult to start! I prefer to see budgeting as just part of my daily habits. Of course, I go off-piste from time to time but as long as it’s the odd week off, rather than the odd week on I know overall I’m doing well; in my mind it’s positive activity that ultimately helps me achieve my goals. By shaping my habits towards budgeting (knowing my numbers, regularly checking my accounts and avoiding certain environments) alongside the ideas stemming from environmental design (paying myself first, using a separate bank account, automating savings) and having a reason to be budgeting in the first place I have essentially put my budgeting on autopilot. Instead of it being this big ugly thing I must abide by, it’s just simply something I do and I can carry on enjoying my life without it being a major concern. 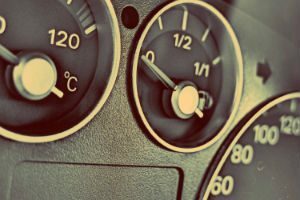 Great article Sam, and great tips! I struggle most when it comes to saying no to meeting up with friends (which mostly involves either getting the train, going for a meal, doing some sort of activity, or some combination of these). Maybe a good option would be to try and entertain people at home a bit more rather than going out all the time, and hopefully with time it’ll get easier to do! Yes, this can be a struggle for me too! I will have a think and potentially write-up another blog post on this topic. Great idea with the home entertaining. Great tips! Thanks Sam – will get onto the app now! Thanks! Yes, it’s a great app. A really interesting read! Definitely highlights a few of my weaknesses! If you don’t mind I’ll share this with my first years, it’s freshers week at the moment and they’ve just had/are about to receive their first loan payments. I’ll be sure to check out some of the books you’ve referenced. Thanks so much for your comment, yes it highlites some of my weaknesses too! Feel free to share away. Some really useful advice here. Thanks for sharing it. 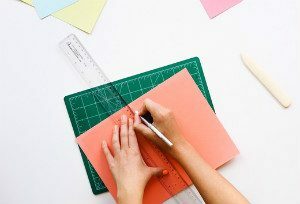 Budgeting is really important thing to learn, and the earlier the better. Personally I’ve always thought it something they should teach in schools. Thanks Mike, yes it’s definitely a life skill! Is a HUGE pension crisis heading to the UK? Will You Hit These 7 Financial Goals (Before Turning 30)?